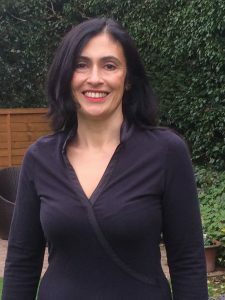 I have developed my range of practice areas over the last twenty years, I first qualified as a Beauty Therapist in 1994 and set up a practice. My work in the areas of Swedish Body Massage and Anatomy & Physiology really interested me and motivated me to continue to study, qualifying in : remedial/sports injuries techniques, stress relief massage techniques, Reiki, Aromatherapy, Hopi Ear Candling, Sports Therapy Massage. In 2000 I started to work as an Holistic practitioner working with complementary therapies and in 2003 I started teaching in Further Education. In 2004 I fulfilled my ambition to become a Reiki Master and in 2005 I gained my Certificate in Education. This year I have focused on teaching Reiki, Relaxation and Meditation and I now run Reiki 1, 2 and master courses and regular meditation groups and relaxation classes. Instructions Use this form for 'requesting' an appointment for treatment. For all other enquiries, please visit the 'contact' page. I will be in touch to confirm your booking or let you know if I am unable to accommodate you.